This week comedian John Scott has been sharing his experience with a bunch of would-be performers. Delusions opens with five new comedians each delivering their first live set. What kind of courage does that take? John Scott requests “love and warmth” from the audience and, generous and encouraging from the start, this Alphabetti crowd does not disappoint. This was not what we’d come for, but these brave souls make us laugh out loud and we applaud them. What we’d come to discover is how John Scott tackles mental health. It’s a serious issue, not one we should be laughing about, surely. 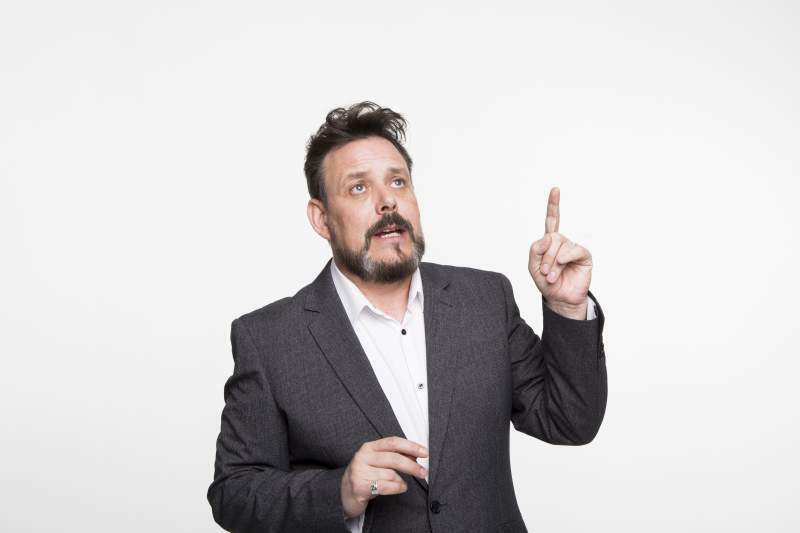 John’s resisted being defined as a mental health comedian and yet here he is, deriving comedy from his Bi-Polar One diagnosis, a suicide attempt, a stay in a secure unit, his father’s death, a relationship breakdown and ‘those’ conversations with doctors. For the most part, it works. John’s inviting us to laugh at his life and some of this guy’s most vulnerable experiences are hilarious to the outsider. It takes a brave man to poke fun at his own painful journey. John Scott places the mental health conversation in the wider context of world politics, the customary focus of his scathing humour. You don’t have to be bi-polar to be depressed about the state of the world; we need delusions to get by. Why would you not want to surround yourselves with unicorns and sparkles? This is a traumatic world we’re living in, a sick society in which the struggles of class, poverty and despair are a stark reality for so many. John’s passionate about UK politics, the NHS and the stigma and misconceptions around mental health issues and treatment. After all, he’s experienced first-hand some of the best and the worst of what’s out there. This is tragicomedy. I came primarily to be entertained and I was, but there’s a lingering uncomfortable, unsettling feeling that accompanies me home that I don’t know what to do with. Maybe that’s just me. Come see for yourself. Witness this brave, raw and very funny man wrestle with current concerns. It’s way past time for us all to enter the mental health conversation.